The European Court oh Human Rights (ECtHR) has tackled again the tricky subject of intermediary liability in the case of Rolf Anders Daniel Pihl v. Sweden. This follows two controversial previous decisions in Delfi v Estonia and MTE v Hungary. The case began on September 2011 when a blog post published by a small non-profit organisation (name omitted in the ruling) accused Mr Pihl of belonging to a Nazi party. The post attracted one comment from an anonymous commenter who wrote “that guy pihl is also a real hash-junkie according to several people I have spoken to”. Mr Pihl left a comment on the blog saying that these comments were defamatory and wrong, and asked for them to be removed. The comments and the blog post were eventually replaced with an apology. However, Mr Pihl complained that the post was still visible using search engines (probably using the cache function). Mr Pihl sued the association for defamation, asking only for symbolic damages of 1 Swedish Krona (SEK). In first instance the Linköping District Court rejected the claims; Mr Pihl appealed and the upper court sent the case back to the district court due to procedural errors. The Linköping Court rejected the claim once more on the basis that the blog post was protected by freedom of expression, but remitted the part of the judgement related to the comment to the Stockholm District Court, as it seemed to be coming from a French IP address. That court decided that while the comment was defamatory, the organisation had acted promptly to remove the post, and therefore was not liable. Mr Pihl appealed this decision, and the Court of Appeal upheld the District Court’s ruling. With incredible persistence, Mr Pihl tried two other avenues, he applied for an appeal to the Swedish Supreme Court, which denied leave to appeal further. He then lodged a request with the Swedish Chancellor of Justice to have the State pay him damages as his rights under Article 8 of the European Convention of Human Rights had not been enforced by the Swedish court system. This attempt was also unsuccessful, and the Chancellor cited Delfi as an authority. With no further national recourse, Mr Pihl made an application to the ECtHR against Sweden. 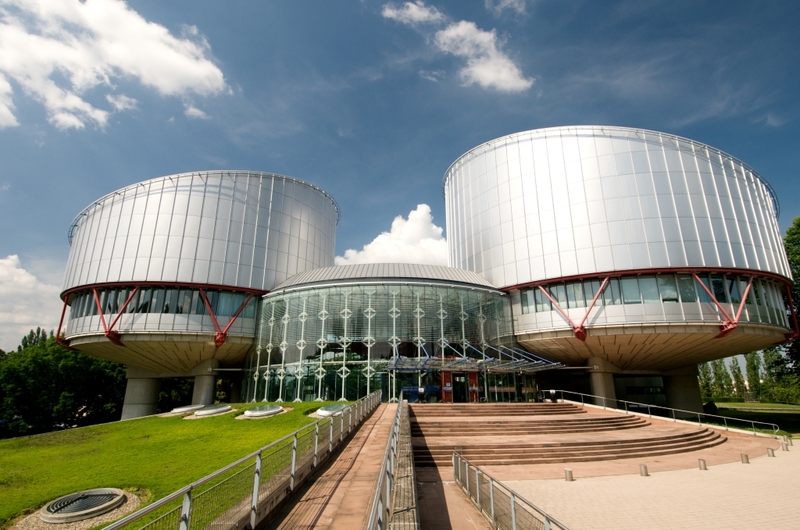 The ECtHR had to consider three main legal points. Firstly, whether defamation falls under the protection awarded by Article 8 against a person’s enjoyment of a private life. Secondly, whether the national courts had failed to protect Mr Pihl’s privacy rights. Thirdly, whether the organisation could be held liable by comments made by a third party. On the first point, the Court admitted that while defamation could fall under the scope of Article 8, “the attack on personal honour and reputation must attain a certain level of seriousness and must have been carried out in a manner causing prejudice to personal enjoyment of the right to respect for private life”. The ECtHR found that in this case the comments did not cross that threshold, but decided to accept the finding that the comment was defamatory. On the second issue, the Court claimed that the national courts had acted in accordance to the fair balance of rights that must exist between Article 8 and the right of freedom of expression contained in Art 10. In my opinion, this is a very good decision. Many people, including Yours Truly, were worried after Delfi that this would open the floodgates of spurious claims against intermediaries. Thankfully, both in MTE and in this case the ECtHR has been trying to make it clear that liability of intermediaries online only apply in situations in which the service provider has failed to act promptly in response to an excessive message that can be considered as “hate speech or incitement to violence“. More mundane defamatory comments involving hedgehogs and hash-junkies do not meet that test.